Lucifer :Malayalam star Mohanlal's blockbuster political thriller, Lucifer was released in Telugu but failed to get a minimum opening here. No 3rd position at the box office. 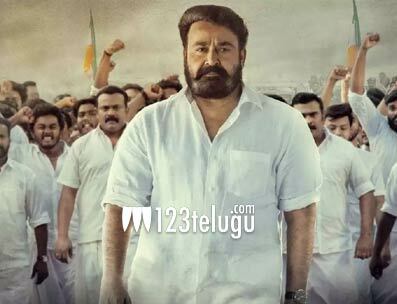 Mohan Lal leads from the front and carries the film on his shoulders. The way he portrays his loyal role and showcases superb emotions in the climax speaks volumes of Mohan Lal’s acting prowess. Vivek Oberoi is superb in the role of a bad guy. Manju Warrier in the role of CM’s daughter is quite impressive. Verdict :Though Lucifer emerged as the biggest blockbuster and minted 100 crores gross in Malayalam it is struggling at Telugu box office. Lack of promotions and a bit slow narration are the main culprits for the film's failure in Telugu.